“You haven’t got anything to dance about until you’re over 35 anyway.” – Bert Balladine. “Young people can dance steps, but you have to be much older to really dance!” – George Balanchine. In many ways, Balladine and Balanchine were right. Dancing is often thought of as the domain of the young, or something you need to start learning as early as possible in life. The truth is, you can start learning to dance at any age, and there are actually some advantages to starting as a grown-up. For one thing, if you’re learning to dance as an adult, you’re there because you really want to be there. It’s unlikely you are there because of family expectations, or because all your friends are. To make room and time in your busy schedule for learning an artform is an achievement in itself, and the passion and drive you therefore bring with you to class will help to accelerate your training. 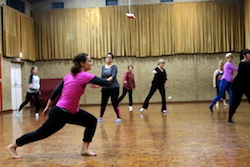 An adult class at Rain and Lucky School of Dance. Photo courtesy of Rain Francis. As an adult, you also have a better understanding of your body, and you’re kinder to it. You may not necessarily be high kicking like your 11-year-old-counterparts, but years of simply living in your body gives you a certain awareness that will help you. Try telling an 11-year-old not to over-stretch because it could lead to injury; unfortunately, no matter what you tell young people, there’s some things only time and experience can teach. In many adult or beginner ballet classes, there are usually people who used to dance as a child. Often this can make those with no experience feel like they’re disadvantaged. If you’ve never danced before, however, you’re not necessarily on the back foot. In some ways, your body is like a clean slate, ready to learn from scratch. It’s a sad but true fact that many dancers, through incorrect training, lazy teaching or just poor body awareness, develop overuse conditions and muscle imbalances which over time can lead to chronic injuries. Trying to undo years of incorrect muscle patterning can be incredibly difficult, expensive and time-consuming, requiring a huge amount of mental focus and patience (not to mention finding the right practitioners to help). So, coming in fresh with no muscle memory or bad habits can be a huge blessing. Plus, you have the added bonus of being an adult and therefore able to think critically and analyse what is happening in the body, rather than just copying what you see. Learning to dance has a huge list of benefits for people of all ages. In fact, when you remove it from the competitive scene, the raw joy of dance itself transcends boundaries of age, gender, race, creed or status of any kind. It’s sociable, fun, challenging and expressive; it encourages good posture, coordination, balance and agility; it can treat depression and anxiety and is being used for patients with Alzheimers and other neurological conditions. It’s never too late to start learning to dance. These days, there are adults’ classes all over Australia. Many have a different focus, whether it’s performing, preparing for exams or just offering classes for fun and fitness. Below are just a few notable examples that we are able to recommend, but you could also try Googling or asking your local dance school if they offer classes for adults. An adult dance class at Move Through Life. Photo courtesy of Jo McDonald. The classes at Move Through Life (MTL) are run by some of Adelaide’s most sought-after teachers, who have worked with Australian Ballet Company, Australian Dance Theatre, Sydney Dance Company, Leigh Warren and Dancers, Buzz Dance Theatre and more. There is also the MTL Collective, a group of experienced dancers who present regular performance seasons. MTL offers ballet, contemporary and jazz, and also has a class specifically for people 50+. 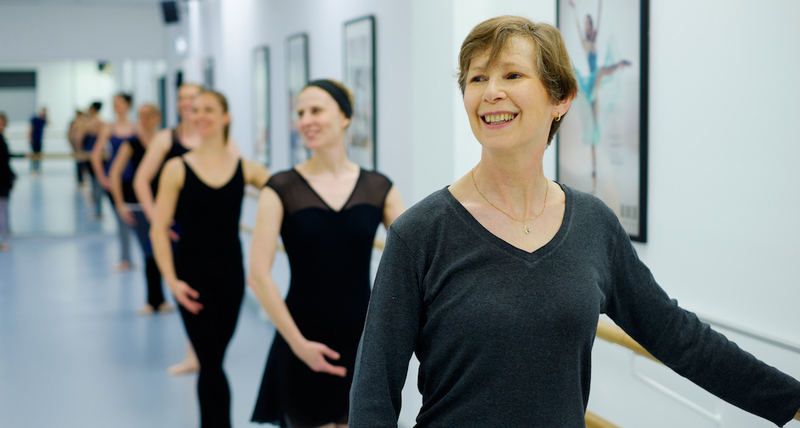 Rain and Lucky offers ballet classes to adults at all experience levels, taught by professional dancers who have performed, choreographed and taught worldwide. The classes focus on safe dance practices, pure technique and the joy of moving, aiming to celebrate the beauty of the artform in a fun, inclusive environment. 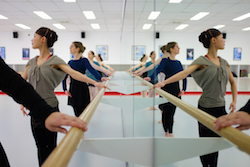 Danceworks is a relatively new studio in Chippendale, offering ballet classes for all levels, including adults. Taught by Olivia Jenkins ARAD, a former ballerina who worked in several ballet companies in Europe, there are classes in Ballet Basic, Intermediate and Advanced, as well as Repertoire, Pointe and a Conditioning class specifically tailored to ballet dancers. The studio is a 10-minute walk from Redfern and Newtown station, and there is off-street parking in the studio carpark. Classes can be attended on a casual basis or by the term. There is a presentation at the end of each year for students who wish to perform. Flare is a not-for-profit contemporary dance company for adults. It offers emerging and non-professional dancers and choreographers a platform to create, perform and give back to the community. Adults interested in dancing or choreographing are invited to contact the company, as well as those who want to volunteer on other aspects of creating a production. Adult ballet class at Elancé Ballet School. Photo by Jim McDonagh. One of Australia’s top dance companies also offers classes for non-professional dancers, at its incredible studios at The Wharf. There are classes in all dance styles, and a specific tap and jazz class just for seniors. There are no term dates, so you can start whenever you like and attend classes on a casual basis (or purchase a ticket pack to save a bit of cash). 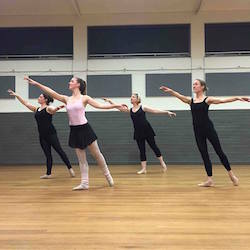 Photo (top): Adult ballet class at Elancé Ballet School. Photo by Jim McDonagh.